Nearly every organization is trying to figure out ways to overcome the engagement crisis — and for good reason. Unengaged employees are costing businesses billions worldwide, each year. But to improve engagement, drive employee loyalty and ultimately increase productivity, employers need to simply communicate better and through the right platforms. Companies need to meet employees where they are — mobile. The mobile revolution has disrupted the way companies have behaved and communicated in the past. Emails from HR simply do not cut it anymore. A large and growing proportion of today’s employees value and respond to customized and personalized communication. And since we check our smartphones an average of 2,600 times a day, mobile presents an internal communications opportunity for companies. Mobile is the most readily used and preferred by employees. 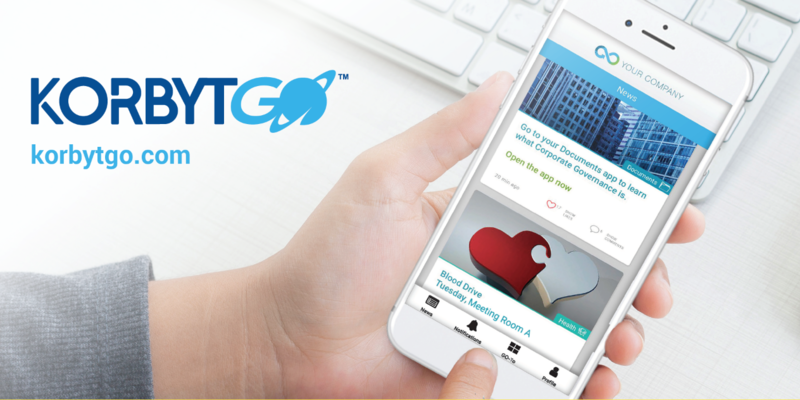 Luckily, for mobile & desktop platforms, such as RMG’s new KorbytGO™premier mobile app, organizations can easily and quickly connect employees, managers, leadership and other stakeholders with each other and with relevant, pressing internal communications. KorbytGO intuitively integrates with every employees’ day-to-day life and increases impact and engagement by providing the right message to the right person at the right time. It’s enterprise-friendly capabilities allows robust data integrations with leading enterprise business systems and empowers impactful multi-channel communications. Visit our KorbytGO™ website to learn more about the powerful platform and how a unique mobile app can leverage your company and provide an immersive user experience that will keep employees engaged anytime, anywhere.